The Department of French, Hispanic and Italian Studies of UBC is home to a research cluster in pre-1800—Medieval, Renaissance, and Early Modern—languages and literatures in French, Spanish, Italian, and other Romance languages. The cluster is now (2017) in its ninth year. We usually meet approximately monthly during the academic year. Our meetings are inclusive and informal, and devoted to discussing and sharing our reactions to recent or important publications in the field, primary works or new approaches to them, and teaching methods derived from our research. The cluster also organised the 40th Annual UBC Medieval Workshop (March 2012), and Chantal Phan co-organised the 43rd Workshop (October 2015). Past and projected activities include holding internal workshops in collaboration with Library staff on subjects such as Palaeography and Rare Books; performance; and working in conjunction with the Faculty of Arts’ Medieval Studies Program as well as with Medievalists, Renaissanceurs, and Early Modernists in other departments or programs. → enables you to receive automatic immediate notification by email of ERS news, updates, and other information posted here. → links directly to our Facebook page, c/o which you can “befriend” and “follow” us over on Facebook. → offers you further possibilities of receiving ERS news via RSS feed (on which, see here for further explanation), be that to your web-browser of choice, or your email inbox, or both. If you are interested in joining the cluster and actively participating in it: please do contact us c/o any of the current Committee: Raúl Alvarez-Moreno, Nancy Frelick, Juliet O’Brien, Chantal Phan. We also provide a VIRTUAL COMMENTS FORM for general feedback. 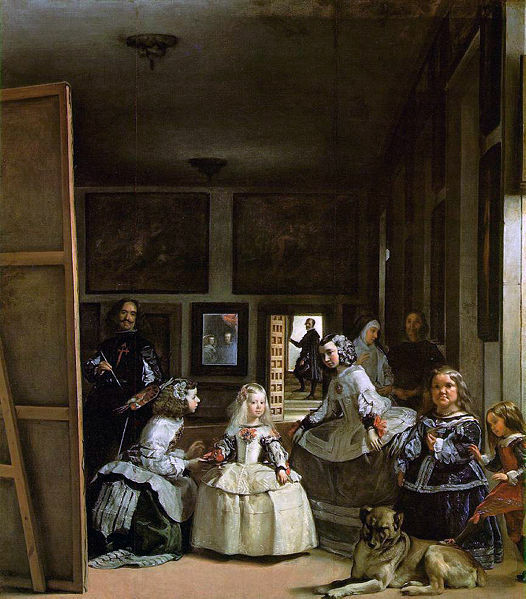 Image: “Las Meninas,” Diego Velázquez (ca. 1656).